Ravensburger 12516 3D Volkswagen 162pcs - Chat Perché - Toys & Games! Age : 10 years old and up. 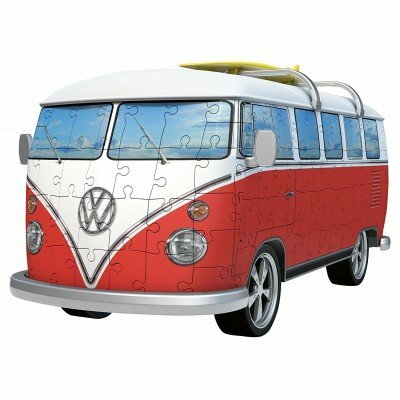 The Volkswagen T1 camper van (Surfer edition) now comes as a 3D puzzle! Age : 10 years old and up. With 162 plastic pieces and accessories, you can piece together your very own VW camper and display it in any room. 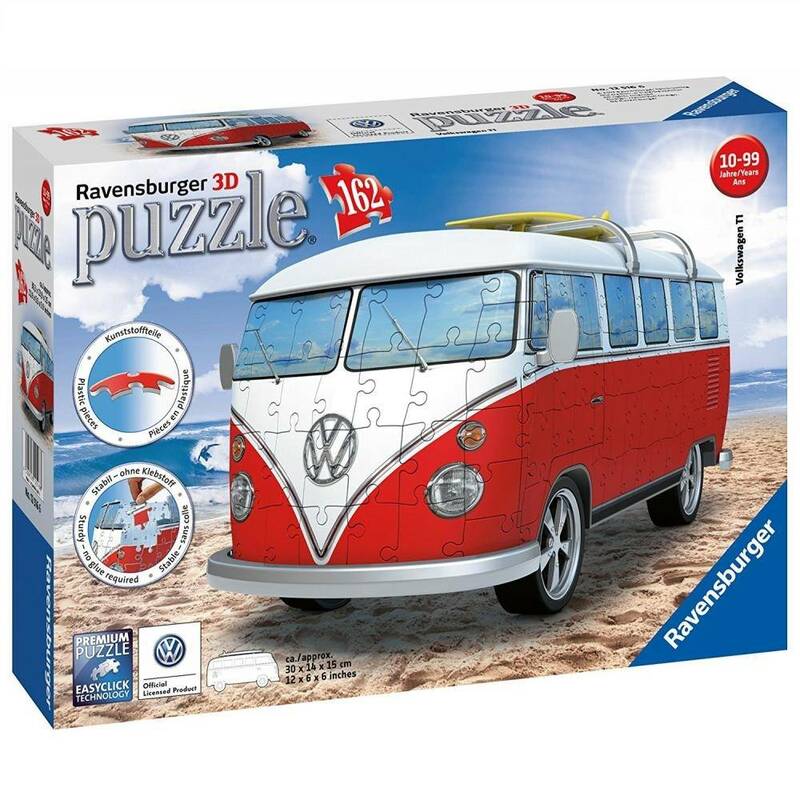 As an official Volkswagen licensed product, this highly-detailed 12516 is equally perfect for collectors and puzzle enthusiasts. The finished puzzle measures 11.75" x 5.5" x 6" inches when complete. This puzzle uses unique plastic pieces, which slot together to build this sturdy and strong model. No glue required! Each puzzle piece is printed with a number on the reverse side, so you can either assemble the puzzle by eye, or just by following the numbers. This authentic camper van is a replica of the classic Volkswagen camper van and a product officially licensed by Volkswagen. Hang loose!